A program that has given spouses of certain visa holders documentation to work in the United States is expected to end this year, creating fresh worries for a group of people referred to as "Americans in waiting." The Obama-era program, called the H-4 Employment Authorization Document (EAD), began in 2015 and has allowed about 100,000 immigrants, mostly women, to bring their skills to the workforce. But an announcement this June is expected to reveal details about Trump administration plans to eliminate it. "I would have nothing to do basically. I would just take care of my child, stay at home, and I would be really sad for my life," said Vanashree Belgamwar, an Ayurvedic practitioner in Corcoran, Minn. "Especially when I'm this knowledgeable. I want to help people." Her practice, Ayurveda, is an ancient, holistic medicinal system that began 3,000 years ago in India. It calls for an individualized approach that looks at dietary and lifestyle habits to treat various conditions. Belgamwar, 29, shares the anxiety and uncertainty of many Indian and Chinese immigrants in Minnesota's workforce. Many of them work in technology and medicine. Some are business owners. The H-4 EAD program is available only to spouses of H-1B visa holders who've already been approved for green cards. Not all dependent H-4 visa recipients are eligible to work, but they can live legally in the United States while they wait for their spouses' green cards to come through. The waiting could take years, even decades, due to a complex immigration system that has created backlogs in different categories for immigrants from different countries. Indian immigrants typically wait more than a decade. "And at that point, your employer has already shown that they cannot find anyone who is capable and interested in doing your job," said immigration attorney Sandra Feist, who specializes in employment-based immigration law. "They've already proven all of the legal elements as the basis for the green card." Belgamwar and her husband have been working during the waiting period, thanks to his H-1B and her H-4 EAD. He's a pharmacist. She started her own Ayurvedic practice out of their home. 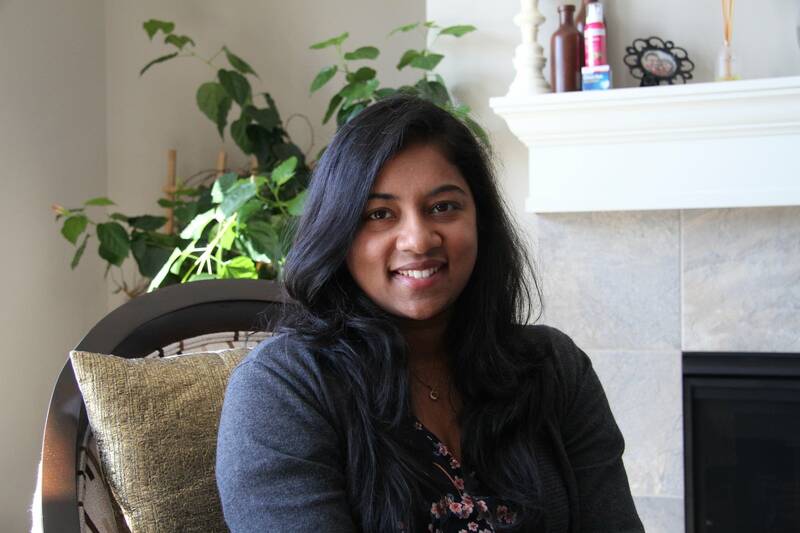 Belgamwar earned her bachelor's in Ayurvedic medicine and surgery in India. She worked for an organization there and was about to run her own clinic when she met her husband, Bhushan, and decided to move with him to Minnesota in the summer of 2013. "Sometimes in life you have to compromise on a few things. I compromised on work," she said. "But I was still hoping I would do something when I get to the U.S. and the opportunity did come to me." When Belgamwar moved to Minnesota, she volunteered to work with other folks in the Ayurveda community. She gave talks and she held camps. Then she became eligible to work on her own and she said she's helped about 100 clients over the past two years. She serves as the president of the Minnesota Ayurveda Association and she teaches yoga and Bollywood dancing at the Hindu Temple of Minnesota. "I know I'm educated and I know I can help people out," she said. "I know that Ayurveda is still growing but people want it in their lives ... this is what made me start my own practice. People were extremely interested in this way of living." The Trump administration is considering a number of policy changes to employment-based visa programs as part of the "Buy American, hire American" executive order. Officials with the U.S. Citizenship and Immigration Service (USCIS) wouldn't confirm what changes are pending for H-4 visas. But the decision comes as a lawsuit in California alleges that the spousal visa program hurts American workers. "I expect them to follow through on this unless there is a pretty loud, vocal outcry," Feist said. "I expect that it would be procedurally easy for them to end this program. And politically we haven't seen the type of vocal response just because this is a very technical rule and it affects a less visible group of our community." Immigration advocates say taking away spousal work authorization is an attack on the H-1B visa program overall, to discourage highly skilled immigrants from moving to the United States. Additionally, 90 percent of the H-4 EAD holders are women, and taking away their ability to work would create power imbalances and forced dependency "when we are talking about the #MeToo movement and looking at women's equality," Feist said. Some of her clients have invested not only in their careers abroad, but in the United States as well. Bhumika Devchakke is one of them. She first moved to New York with her husband, Nirav, who was sponsored for a job in nanotechnology. Devchakke had earned a master's degree in business administration in India. But she had difficulty finding work in the United States, so she pursued an MBA from State University of New York. She graduated in 2016 before moving to Eden Prairie, Minn., last year. She's been looking for a more permanent job in finance. "If we go back to India it's like we are taking nothing back with us." Devchakke said. "I'm not talking monetary transfers. He has invested his eight years, I've invested my five years." The couple was encouraged back in 2015, when the EAD program began. The Devchakkes began thinking about buying a home and planning for a child. "We can't really invest when stuff like this, EAD revocation, comes in the way," Nirav Devchakke said. "And we are back to Square One."